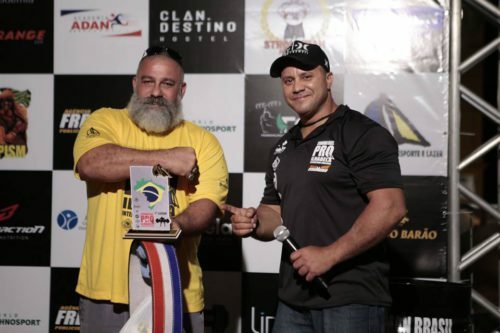 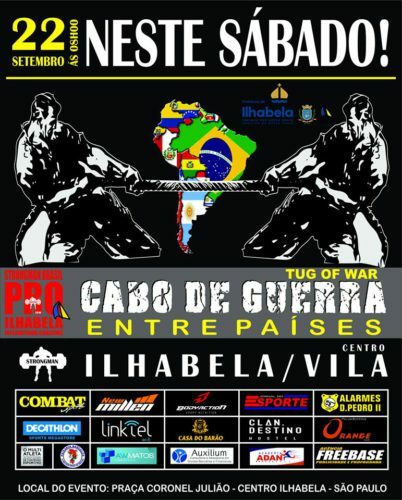 WSF World Strongman Challenge Ilhabela held in Ilhabela (Brazil) on 22 of September. 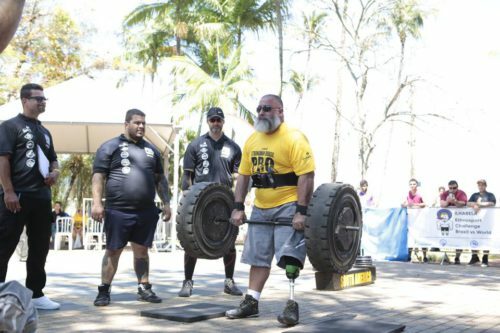 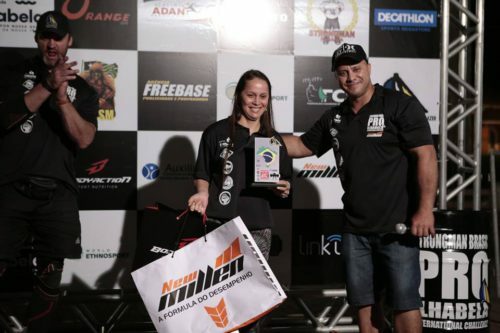 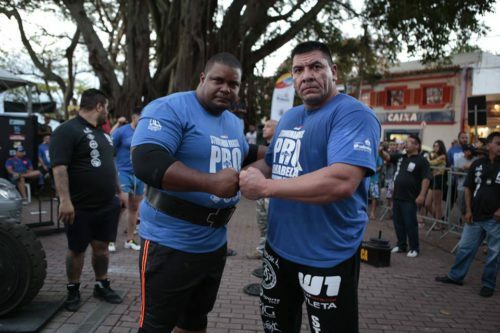 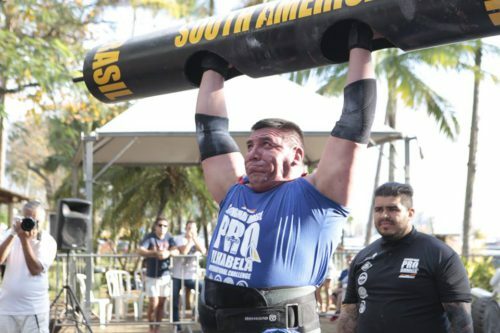 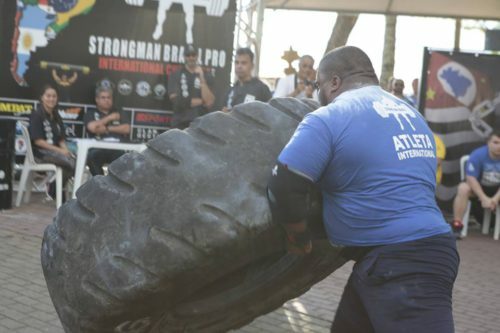 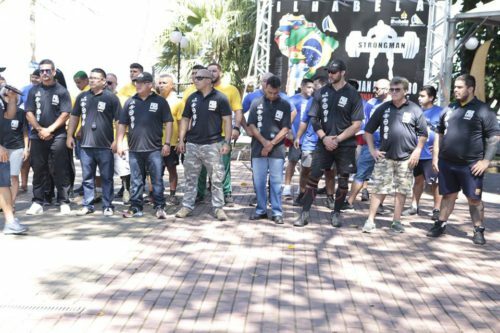 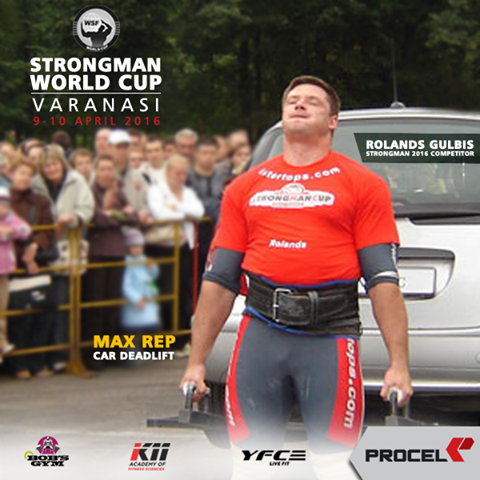 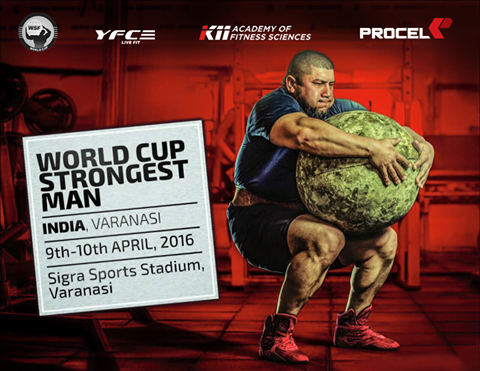 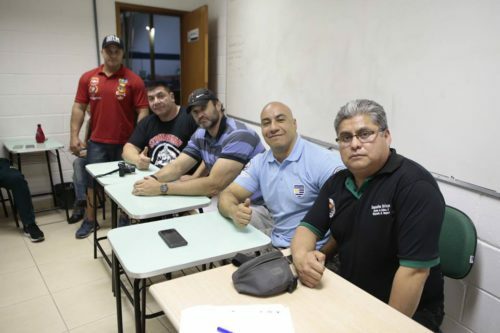 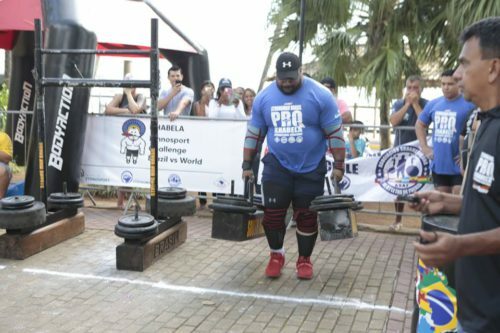 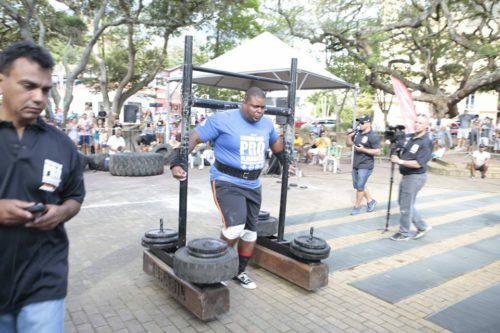 In the competitions of the World Strongman Challenge Ilhabela took part more than 20 participants from 5 countries. 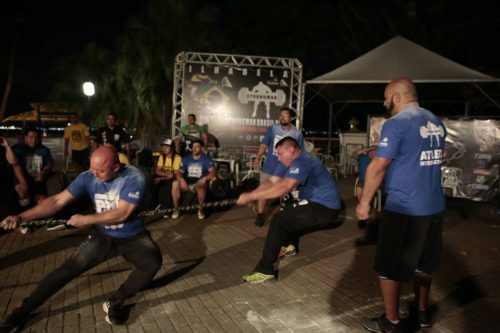 The event was watched by over 1.500 spectators. 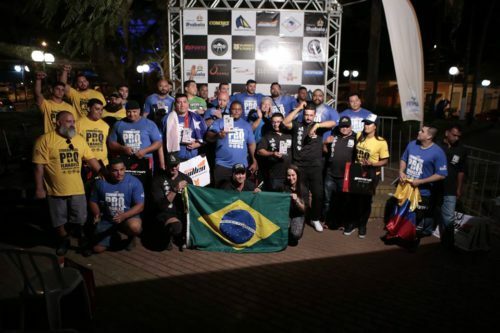 Event began at 08h30 with the opening ceremony, presentation of the national athletes, international, international delegations, leaders, referees, organization and partners, totaling 52 people. 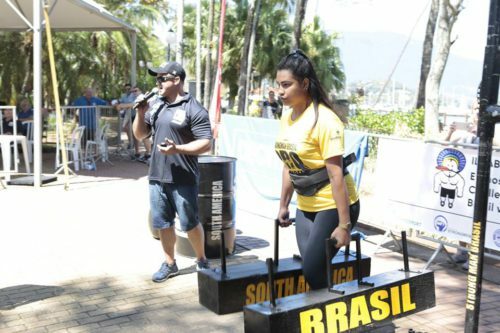 The competition was divided between national and international stage, being the national one with 5 categories and 10 athletes, international with 2 categories and 15 athletes. 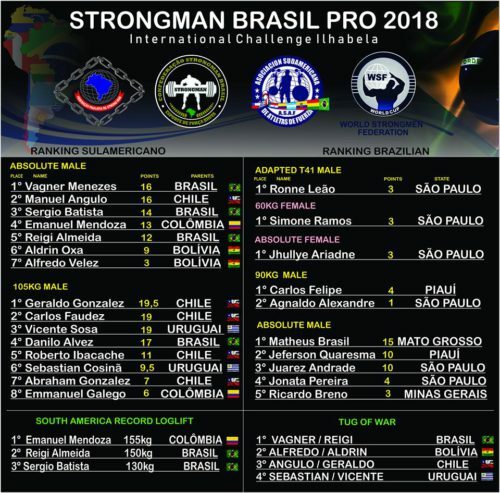 International Championship: Chile -5 athletes, Colombia -2 athletes, Uruguay- 2 athletes, Bolivia -2 athletes and Brazil- 4 athletes. 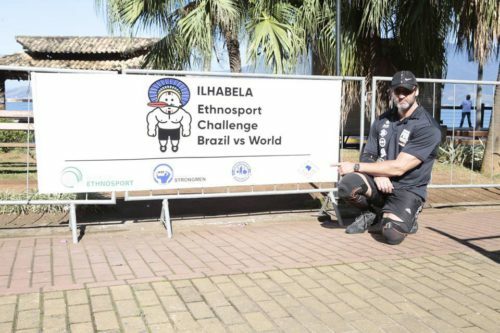 The Brazilian Championship started at 08h30 for the adapted category T41 (Amputees) where Ilhabela was a pioneer, hosting for the first time in the world this new category. 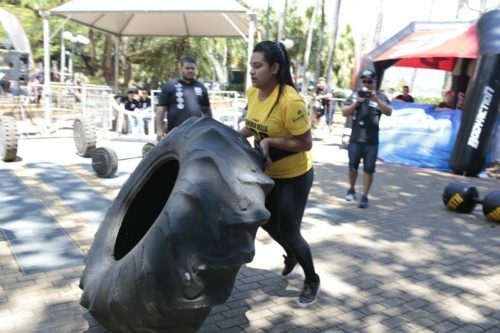 Then female category up to 60kg, absolute female category, male category 90kg, male category 105kg and ending with the absolute male category. 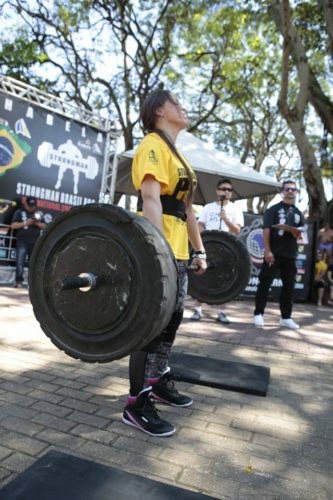 The tests were divided into 3 stages consisting of medleys (2 Tests in 1 only). 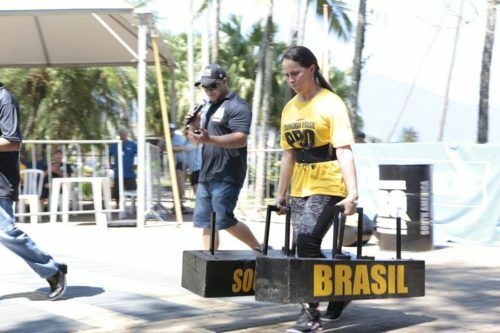 The first race was “Yoke Race” (race with the cangalha, weighing up to 380kg) + “Farms Walk” (race with wooden suitcases in the hands), weighing up to 240kg. 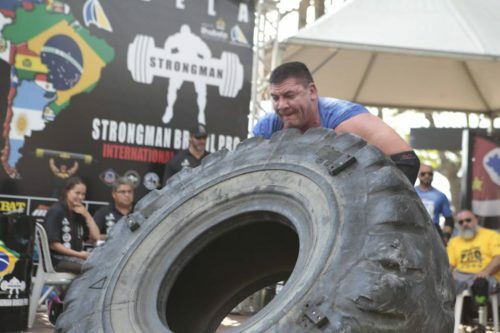 Second test ” Loglift ” (iron cylinder lift above head weighing up to 130kg) + ” Tire Flip ” (giant tire tipping up to 500kg). 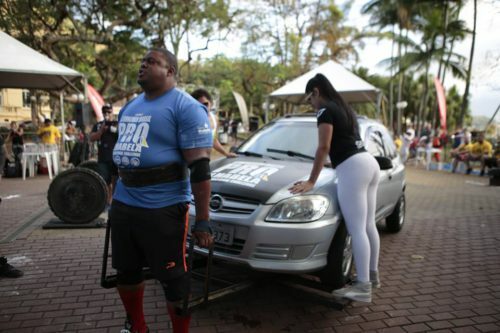 3rd Test ” Deadlift Tire ” (Land survey with massive forklift tires up to 280kg) + Deadlift Car (car lift on the support with weight up to 300kg) . 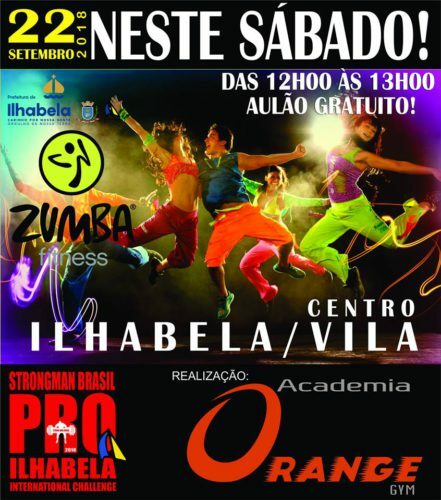 After the closing of the Brazilian championship, which ended at 12:30 a ‘ Zumba Fitness ” for the public in partnership with the Orange Gym academy of Ilhabela. 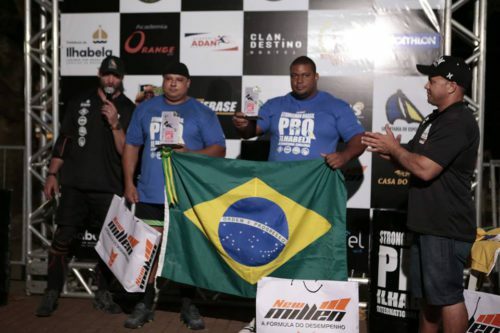 At 2:00 p.m., the International Championship opened with the presence of 5 countries from South America where the national anthem of each country involved in the event was played and sung. 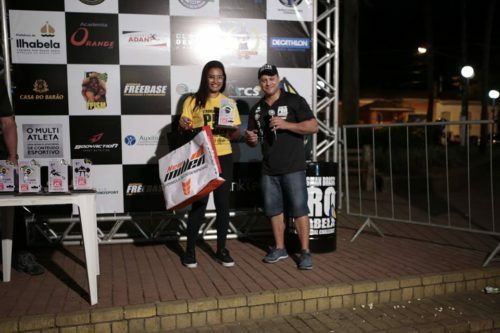 The 19h00 began the awards with athletes winning trophies kits and gifts. 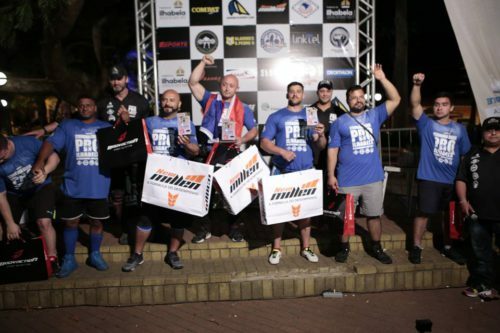 Público interacted a lot and vibrated with each race, many remaining from the beginning to the end of the competition. 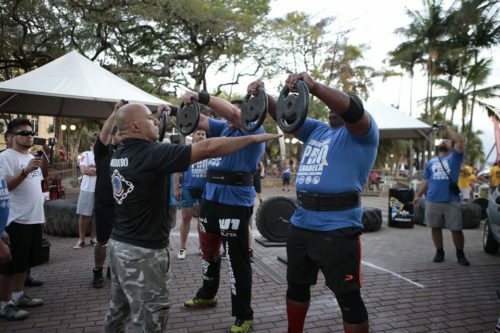 It is estimated that over 1500 people attended the event throughout the day. 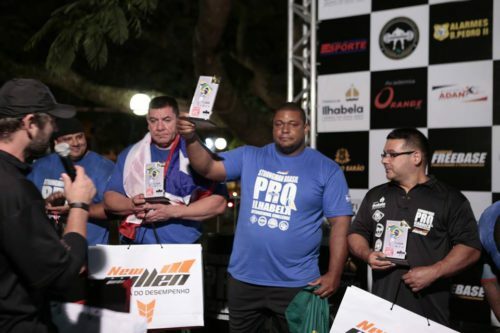 Merchants actively supported the event by giving support and generous discounts on their menus and pointed out that there was a great return, increasing their sales by up to 70%. 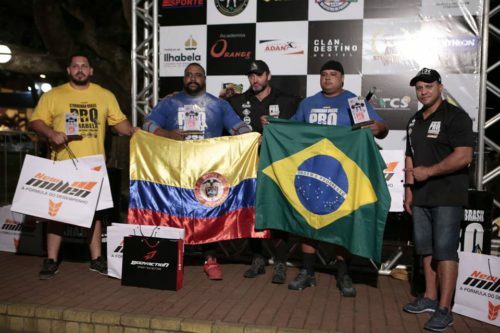 Hostel Clandestino also supported the event giving athletes discount on lodging, most of the athletes and family, owner noted that there has been an 80% increase in their billing Local merchants liked the event a lot and asked when will be next. 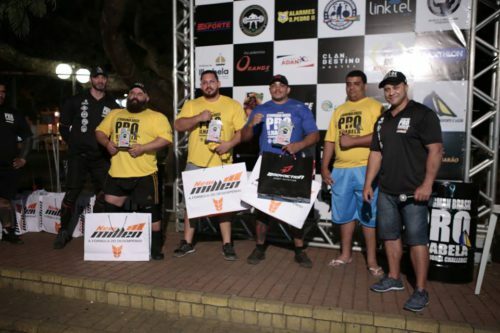 After the end our team collected the bars, collected the garbage and cleaned the place of the event. 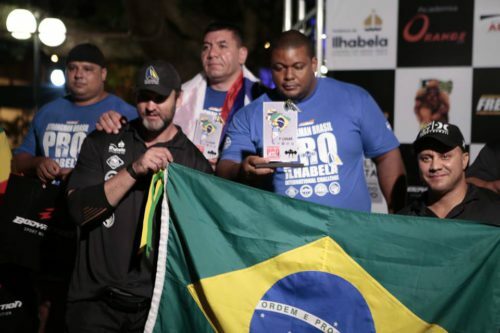 The athlete and Brazilian leader Luciano Afonso Sarti was elected the new president of ASAF South America in a unamime manner in a vote held during the technical congress of leaders and athletes held the night of September 21 in the city of Ilhabela – SP Brazil for a term four years together with the association’s new management team. 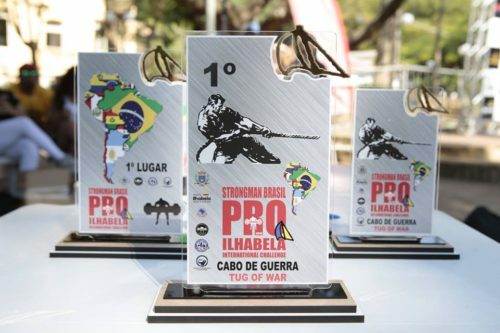 September 22, the traditional tournament Ilhabela Ethnosport Challenge 2018 took place in Brazil also.